Help a brave girl named Sophia, who's been transported to a dark fantasy world, get back home and defeat the evil witch who's brought her there. 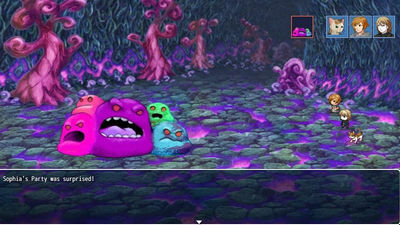 Unhappy Ever After is a unique RPG with stunning graphics that takes players to a terrible land which they must survive. Fight monsters and witches, meet new friends and allies, and stay alive in an unknown dangerous world as you look for way back home. A unique magic system where strengthening one ability weakens another. An addictive drug system, complete with dealers and quests. 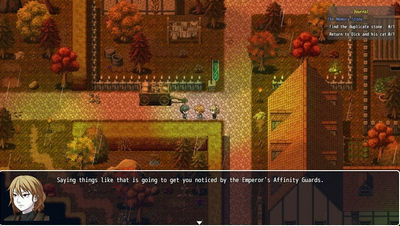 An adult-themed RPG with political coups, terrorism, drugs, murder, and revenge. Enter steampunk dungeons, technomage lairs, dark underworlds, monster filled forests, and haunted mansions. A day and night system where characters go to bed and monsters come out at night. Removes intro logo that caused crash on some devices.